If you ask Chris what his favorite cookie is, he’ll say “peanut butter,” but I know that snickerdoodles are a close second. So I feel downright Grinch-like when I realized that I’ve never made them for him. This year, I decided it was time. Although I could have made a traditional snickerdoodle, after my coworker brought in these amazing pumpkins ones, I decided that was the way to go. She shared the recipe, which came from Annie’s Eats blog. Be sure to factor in the 1-hour chilling time after mixing the dough. I’ve skipped this step before with other recipes and it was a disaster. 1. In a medium-size bowl, whisk together the flour, baking powder, salt, cinnamon and nutmeg. 2. Using a stand or hand mixer, beat together the butter and sugars on medium-high speed until light and fluffy, about 2-3 minutes. Beat in the pumpkin puree, then the egg and vanilla until incorporated. Add in the dry ingredients and mix on low speed or with a spoon just until incorporated. Cover and chill the dough for at least 1 hour. 3. Preheat the oven to 350 F. Line baking sheets with silicone baking mats or parchment paper. Combine the sugar and spices for the coating in a bowl. 4. Scoop about 2 tablespoons of the dough and roll in your hands to form a ball. 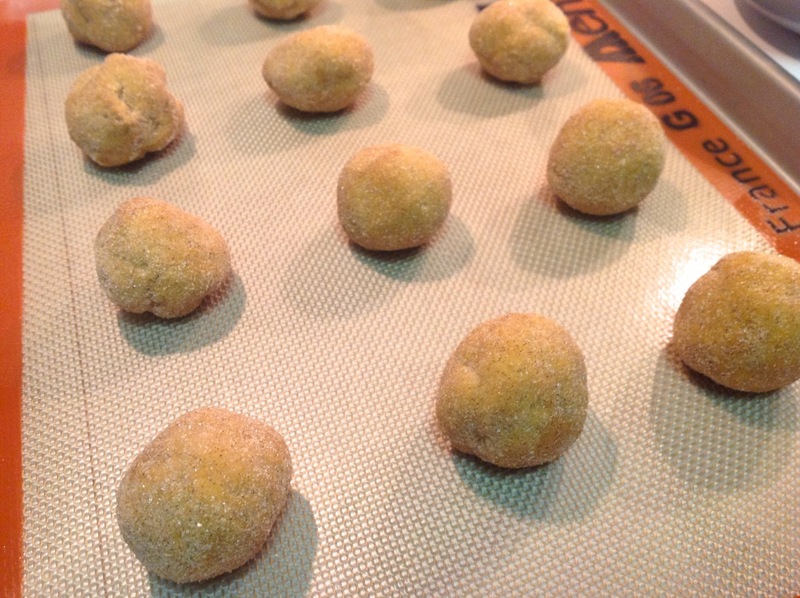 Coat the ball in the sugar-spice mixture and then place on the baking sheet. Repeat with the rest of the dough, placing the sugar-coated dough balls about 2 to 3 inches apart on the baking sheets. Flatten the balls with the bottom of a glass dipped in water and then the spice mixture (re-dip as needed). Bake the cookies for 10-15 minutes (the original recipe calls for 10-12 minutes, but I baked mine for 15. Since the pumpkin puree adds moisture, they can bake longer without burning), or until just set and baked through. Let cool on the baking sheets about 5 minutes, then transfer to a wire rack to cool completely. Store in an airtight container. 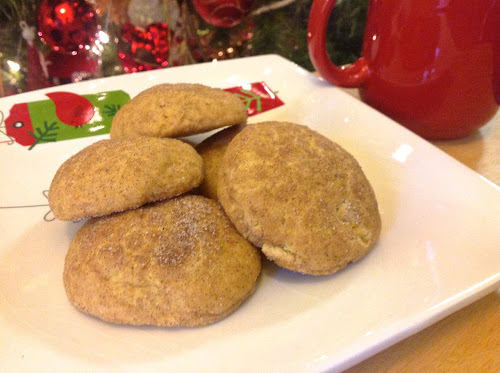 I added these to my Christmas cookie repertoire this year and they are quickly becoming a hit! This one is a keeper! Thanks Layla! This was a new cookie for me too this year. I like the soft texture. They were very good. Thanks for making them honey.